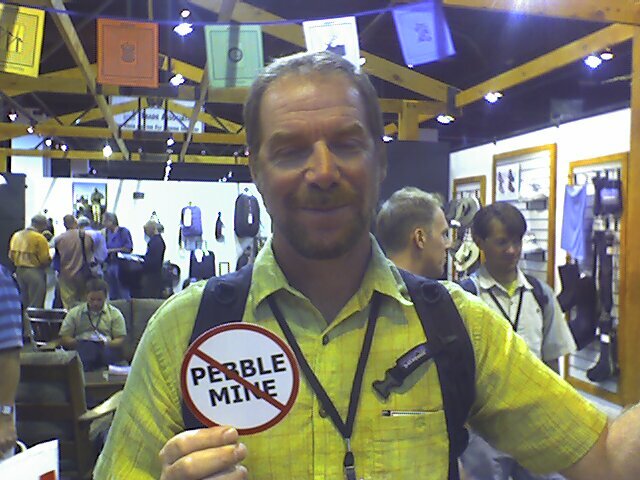 The 2007 FFR Show Patagonia Booth contained 17 new or revised styles (Spring 2008). The product groupings had backdrop graphics created from photos by regular Way Upstream contributors Rene Braun and Dave Skok. I though you might like to take a look at the images. They're cool. Just ignore the typo on the center shot of Alan Caolo. It was corrected for printing. If you were in Denver for the trade show, tell me your thoughts on the event and related happenings. If you weren't there and have questions, I can try to provide answers. El Pescador has returned. Very cool looking vest. I like that the pockets don't stick out from the body. What was the design philosophy here? How else does it differ from the River Master? Thanks for the question PD. The Guidewater Vest replaces old-school multiple pocket/flap storage with curved-zipper organization “panels.” This radical departure from convention attempts to improve visibility of, and access to, vest contents with one, single-handed motion. 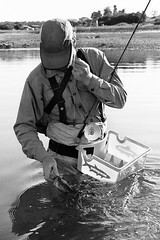 Angler-designed storage system conveniently and intuitively organizes fly boxes, tippet material and tools. The Guidewater Vest features stretch nylon and mesh construction, front and back snap storage, padded shoulder support, attachment points, removable fly patch and rod holder. This vest takes it's cues from our earlier models but that's where the similarities end. For those that still desire the classic flap pocket we still offer the Pack Vest (pack and convertible vest). It's one of the best values on the market. Agree, the vest looks awesome. Are we looking at approx the same price points? the patagonia booth reportedly received rave reviews...when are we going to see some more products? Will this vest replace the River Master Vest and Mesh Master Vest? Will Patagonia ever bring out a new version of the Wet/Dry Gear Bags? Since you have Waders and Boots in the line, some sort of updated version of that classic would make a great addition to the lineup. 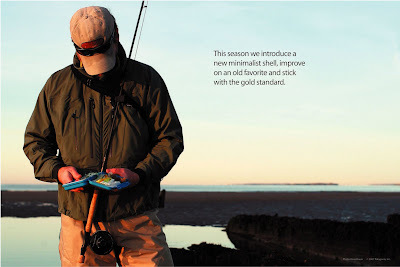 I like the looks of the new jacket and am glad that Patagonia kept the rod holder. I use the holder a lot on my 2006 SST. Did Patagonia come out with any new fishing packs? 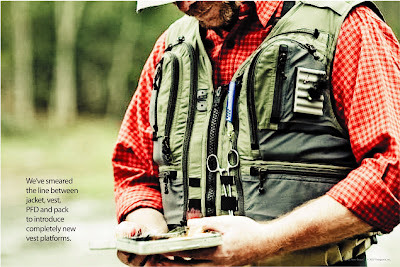 The Guidewater Vest is scheduled to hit shelves by mid January. The GW Vest retail price is $200. The River Master and Mesh Master get replaced by the new Guidewater and Riverwalker Vests for S8. The new Guidewater Duffels are coming out in S8 too. They are updated versions of the original Wet/Dry Gear Bags. What is the status on the 2008 sunshade shirt and the hooded version? When will it be available? These are the best warmwater shirts ever designed and I know sellthru was great as well. let us know! The 2008 Sunshade Shirts are scheduled to hit the wharehouse next month and should be ready to ship in early January. Same goes for the Sun Hoody which is technically part of the surf collection. We'll also introduce the new Sun Mask then as well. Thanks for asking Joe. What colors are planned for the 2008 Sunshade shirt? Check out my review of the Sunshade shirt and let me know your thoughts! W's - Laurel Green and White. I also checked out your review of the Sunshade. Thank you Joe. I finally recieved my new Guidewater jacket and it looks awesome!!! I can't wait to hit the water in it this weekend. Thanks to Patagonia for another great product. Thanks for the Guidewater Jacket note Gferrari. This jacket has received good press so far and with favorable reviews and ads showing up in the mags demand is high. I'm confident that the Guidewater Jacket will serve you well. I'd love to get some more info on the Guidewater jacket. Hoping to buy one within a month or so. There are no Patagonia fly fishing dealers near by, so i need to be sure. Any chance there are any reviews posted online? I haven't been able to track any down. Great stuff... looks like a real solid coat. I wasnt' sure if it had fleece lined hand warmer pockets, but according to that review it does! I've heard that the guidewater jacket is made from a relatively lightweight, thin material... and that the SST is a better choice for cold weather fishing. Since most of the fishing the Guidewater jacket would see with me involves cold water and layered clothes, is the SST a better choice? I prefer the style and pocket config of the guidewater, but don't want a basic 'shell' jacket. Also - does the jacket have a back pocket? and if so, how is it accessed? So far, the only coat i've seen with a good back pocket is the new G4 guide jacket through Simms. Big back pocket with side access. Seems like a no-brainer doesn't it?? Thanks in advance. Atlantic Salmon season starts in 4 days... giddy up!!! Both the Stretch SST and Guidewater Jackets use 4.2oz, 3-layer, stretch 50-denier nylon with H2No HB (Highly Breathable) barrier; Deluge DWR finish. All seams are sealed. This is the same fabric used in our premier mountaineering Stretch Element Jacket. Both jackets have an ample back pocket. The Stretch SST maintains a back pocket version with a hook and loop flap (similar to what it's always had) and the Guidewater Jacket has a vertical, side accessed, reversed coil zipper version with zipper garage (http://www.flickr.com/photos/airtaxi/2203014541/in/set-72157600026869077/). Review and advise JockScott. Good luck out there on the water. Where will you be atlantic salmon fishing? Great stuff El Pesc... this is my next jacket for sure. I really appreciate the help, as there are no retailers nearby that carry the fishing products. On Sunday, i'll be fishing a smaller local river hoping for a an early fish. I do the majority of my summer salmon fishing on the Margaree in Cape Breton, the Lahave, the Musquodoboit and the St. Mary's. In the fall, the salmon fishing really turns on, and I tend to visit a whole other list of 'fall run' rivers. If you're ever in Nova Scotia, let me know and I'll try to put you on some silver. Thanks for the offer JockScott. If I'm ever in Nova Scotia I'll look you up. 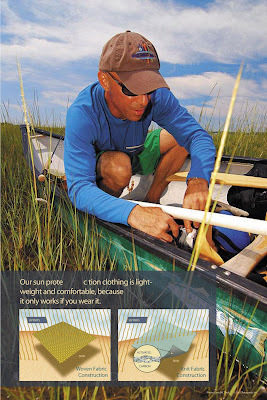 I read the Guidewater will come in two new colors for Spring 09 - do you have photos? Hi Jonathan, the Guidewater Jacket will come in two new colors but not until Spring 2009. Those colors will be Gravel (grayish brown) and Northern Light (rich dark blue). Stay tuned. The guidewater looks like a sweet jacket, but I'm still spooked on waterproof zippers after a very wet season in another company's jacket. I've had nothing but negative experiences with "waterproof" zippers. Every waterproof zipper I've ever used has leaked - jackets, packs, luggage, everything. How have these zippers performed in the field? Are the zippers Patagonia is using any different than competitors' waterproof zippers, and have they gotten better over the last few years? Do waterproof zippers require maintenance? I've noticed that over time the rubber sheathing on waterproof zippers I've used have had small sections torn, which didn't help keep water out. I know that dry suits using waterproof zipper require maintenance, but I've never read anything to that effect with these types of zippers. All the waterproof zippers in the various products I own use YKK zippers. From what I have observed, YKK seems to be the leader in waterproof zippers. Nine years ago I bought some ski pants that had the waterproof zipper. I say "had" because the waterproof portion of that zipper has now fully deteriorated. Good comments and questions on zippers Ian and Matt. The Guidewater and Deep Wading Jackets use reverse coil zippers with coated zipper tape (not all are created equal). This type of zipper is often referred to as waterproof but in reality I think it best to call them highly water resistant. They're not submersible. Early versions of these types of zippers were a bit "sticky" and didn't operate with the ease that our choices do now. Our trims team has also made subtle improvements to the carrier and pull which allow smooth operation even if the pull force is off angle. Tack on the new "fish pull" to the equation and you end up with what I feel is a clean, operable, durable and functional fishing jacket zipper that will deal quite well with rain and spray. Zippers used in dry suits and the Stormfront Pack are yet another breed and worthy of the waterproof title. More on that later. Does Patagonia work with the design team at YKK to come up with zipper solutions, making the zipper unique to Patagonia? Or, does YKK have one water proof zipper that is distributed among all the outdoor apparel companies? Good question Matt J. Patagonia does work closely with fabric and trim suppliers to co-develop solutions to meet our design and quality needs. Rarely does an off-the-shelf choice make it into the line. Sometimes that does mean that we end up with a uniquely exclusive result, especially with fabric. Regarding stock choices, they are widely distributed. Noted Taku, you are right that "true" waterproof zippers are the type that Sage Brush have used (German-made T-Zip). Riri (Italy) and YKK also make these type zippers. Zip lock technology and roll top designs round out the waterproof menu. Design, fabric and construction are integral and equally important to waterproof function. Some types of basic maintenance can also be required for optimum performance. When do we get to see what is new for fall 2008? Thanks for your interest in F8 Jon. There are two new styles being introduced, one is the Insulator Jacket and the other is the Stormfront Pack. There have been some images and words already conveyed about these styles but no official posts yet. Stay tuned.